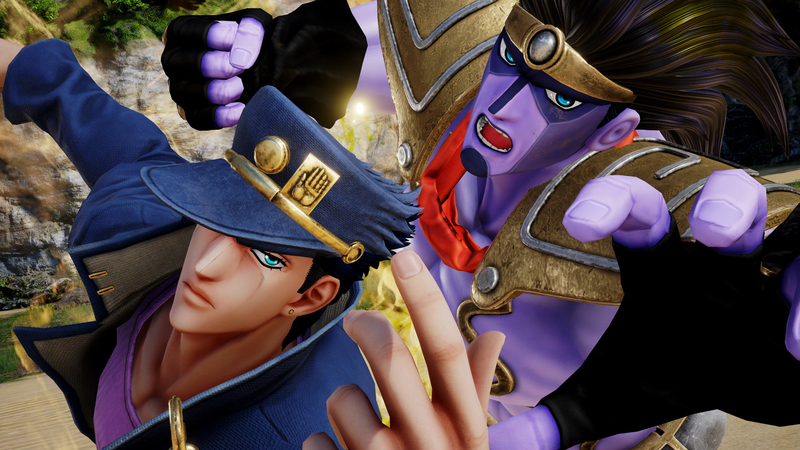 Jump Force's latest reveal highlighted that JoJo’s Bizarre Adventure Dio and Jotaro Kujo would be joining the fighting title. Today, Bandai Namco released a new trailer showing the 2 fighting. The trailer is clearly done for fans, featuring the 2 using their stances using iconic attacks. Prepare for a lot of fists. Jump Force is a 3v3 fighting title that has the Shonen Jump universes duking it out after humanity has been invaded by Venoms, mind-controlling villains lead by Kane and Galena; original villains to the universe. Players will take control of characters from the Shonen Jump universe to restore order by any means. Jump Force will be available in a few days for PlayStation 4, Xbox One and PC, on February 15.